Italian giants Juventus led by talisman Cristiano Ronaldo, have been from the UEFA Champions League tournament after an inspirational display by a young Ajax side. 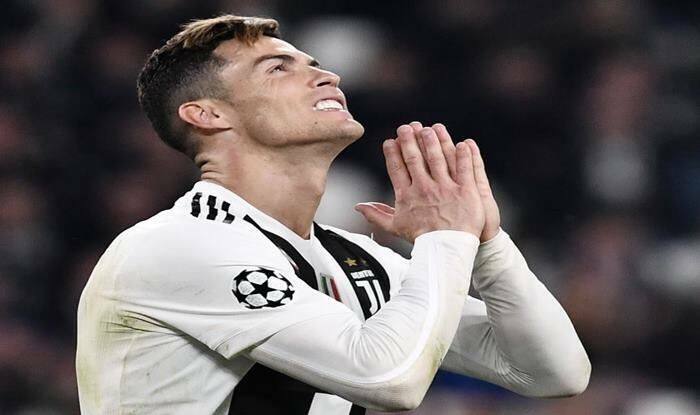 Cristiano Ronaldo’s ambition of winning the Champions League for the fourth consecutive year and with a new team came crumbling down when a young Ajax side — who were written off when the fixture was drawn — defied the odds to eliminate Juventus from the quarterfinals of the competition on Tuesday. The Portuguese forward had struck the opener of the tie in the 28-minute but that was leveled by Donny Van de Beek and further capitalised by defender De Ligt in the second half at the Allianz Stadium in Turin. Ajax sealed a 2-1 victory (3-2 aggregate) to qualify for the semifinals as they maintained their form after having eliminated the reigning champions Real Madrid in the previous stage of the competition by a resounding scoreline of 4-1 at Santiago Bernabeu. Ronaldo joined the Italian giants in the summer of 2018 for a price tag of over 100 million euros, which to a large extent, he has already justified as he is the club’s best performer and top-scorer and they are also on the verge of winning the league title. The two goals that Juventus had against Ajax over both the legs were courtesy of the 33-year-old. However, their bid to win the coveted European trophy for the first time since 1996 was outweighed by Ajax’s inspirational display. “It’s an incredible evening for Ajax and its players and also for Dutch football,” said a jubilant Ajax coach, Erik ten Hag. Giving credit to the Dutch side for their performance, Juventus coach Massimiliano Allegri labeled the Champions League as a ‘strange competiton’. “Ajax deserved to qualify,” said Allegri. “We could have done better, but Ajax aren’t coming out of nowhere, they were Europa League finalists two years ago and scored five goals against Real. While the modern-day football revolves around a lot of money, as evident in Ronaldo’s transfer, Ajax have set an example for all the so-called ‘underdogs’ in the game. They will now aim to carry their momentum in the semifinals, where they face the winners of the tie between Manchester City and Tottenham Hotspur.